Alize is using Smore newsletters to spread the word online. The confederation was made so weak because they had no power and so they had no power to coin money, they could only borrow money on credit and they couldn't impose taxes and their wasn't a court system to protect peoples ( U.S citizens ) rights. With France, in 1778 the Government signed a treaty also waged a war against the british and they even ended the American Revolution with the Treaty of Paris in 1783. After that all citizens were free because they had all their immunities and privileges. 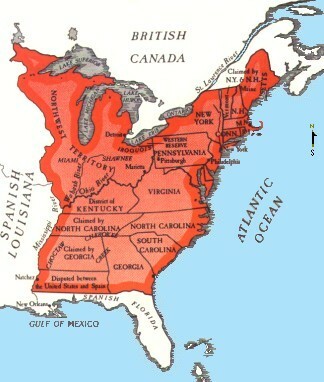 They lacked power to levy taxes and enforce laws and also power to control trade among the states. They didn't even have an army and they required thirteen states to vote so their could be a change in the Articles. 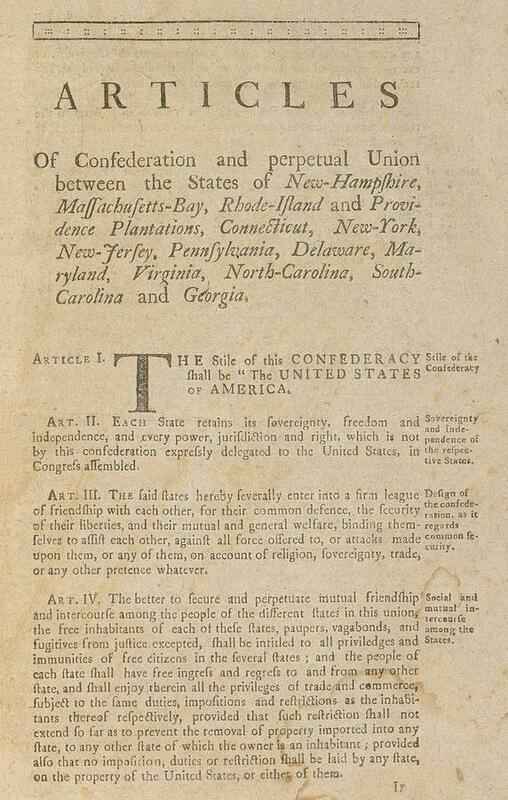 This act was passed by the Articles of Confederation it had created the NorthWest territory, for Americans it gave them new land but the Americans had a bad effect by pushing the Natives away and made them really mad. But then again it made the teritorys to become states with the system and that was a good effect. The leader of Shays Rebellion was Daniel Shays. 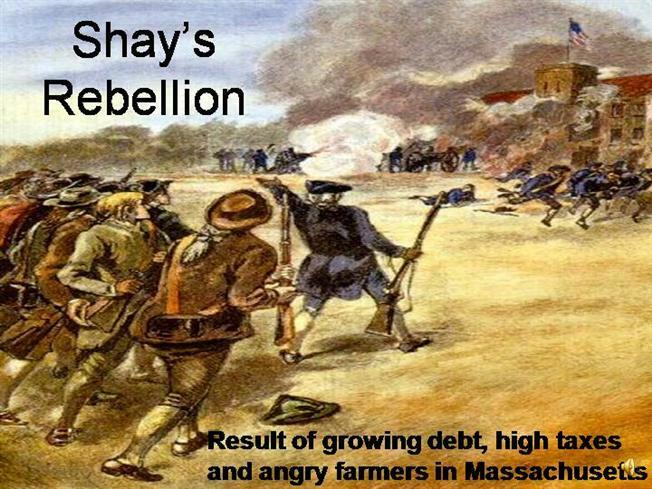 States were charging really high amounts of taxes and this is what had started Shays Rebellion, this effected farmers because some of them couldn't pay for the taxes and some went to jail or lost their farms, but since that happened, it showed the weaknesses of the Articles of Confederation. Also it caused less battles.